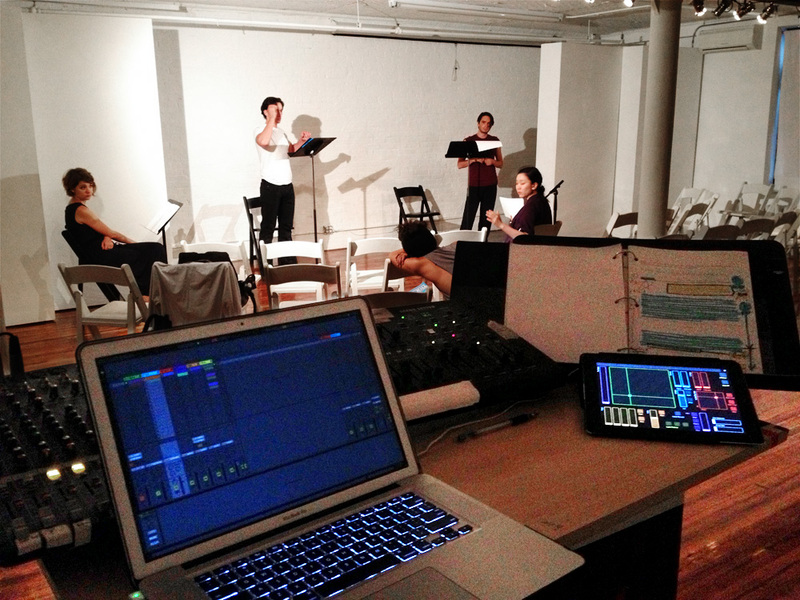 For a staged reading of Daniel Darwin’s play Green Glass Door, I designed the sounds and an interface through which to control them. The key feature in the video below is the x/y grid; as the tense confrontation between characters progressed, we wanted to subtly influence the energy by moving in and out of different kinds of background ambience. The mental spaces the characters move through were mapped to two axes, one representing the direction of the characters’ attentions (inward or outward), the other representing the amount of dissonance between them. Sounds were then placed around the grid accordingly. Sampled cello performance by Evan McGonagill.